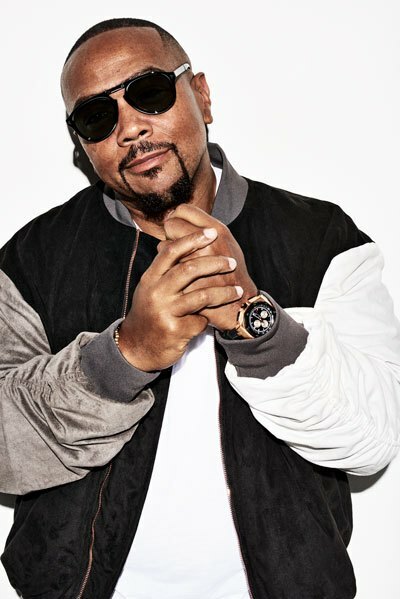 MusicConnection.com caught up with Timbaland right after it was announced that he’s inked a deal with Amazon to produce his long-awaited multimedia project, Opera Noir where they also talked about his future collaborations and searching for the next big thing. Music Connection: You’ve gone from producing music, to producing music for television, to producing TV and now actually appearing on TV as a talent judge. When did you get that TV bug? Timbaland: I always wanted it, but I had to get ready as a person, to prepare myself for challenges. A lot of people get in comfort zones, but I’m one of those people that flexes outside of my comfort zone and do things that I like. I always loved TV and movies, so why not try to be a part of it? I’m still producing music, but it’s not just music anymore; it’s producing films, producing music for films and being part of TV is a whole other section of entertainment. For me it’s about evolving as a producer. MC: We just got word about you developing another album and TV series for Amazon. Can you tell us about your Opera Noir that’s in the works? Timbaland: First of all, the album is my best work, and it kinda identifies who I was born to be. And that’s why I’ve taken this journey through TV and film. The music of Opera Noir is so incredible, and I don’t like to talk about my own music, but for me, it’s like I found myself and what I’ve been meaning to do all my life. And that’s why I sat on it for like three or four years, until the right thing came around. I didn’t budge, I didn’t sell out. I really think that god had me sit on this project for a while until the right opportunity and now I have the right opportunity to showcase it. I think that this is going to be about a whole other side of Tim. MC: With so many projects how do you manage your time? Do you rely on your team? Timbaland: You gotta go through trial and error to get to perfection, and I went through a lot of trial and error. But you’re no good without your team, and I have a great team. It allows me to stay in my space and they understand me as a person. You should have somebody just as hungry as you. You can’t have a LeBron James without a Kyrie Irving. You need to have somebody as hungry as you are. Someone who can create the best business model, because what we create will create the next 20 years, and I wanna go down as, “see that company that Timbaland and blah-blah built?” We need to have some monuments representing what we have done, you know what I’m saying? You build trust as you go along, but you must have the same ambition and the same work ethic. It’s very important, because as a creator you are always creating, but you’re hungry at the same time, and you want somebody always challenging your creative mind, but you want them to also always be on point with everything in the same way you are when trying to make that beat or create that song. MC: There’s a lot of buzz around some of your recent collaborations with Zayn Malik and Sam Smith, for starters. Presumably for your new solo album, Textbook Timbo, and/or for a Sam Smith album? Timbaland: You know, I don’t like to talk too much about it; but yeah, I’m with Zayn, and I also worked Wiz Khalifa. As I go along I’m always changing my mind, you know? I’m trying to put together a great body of work. Nothing is that solid because I’m changing, but I only want like five or six artists on it. I want it to be like when I did “Apologize” with One Republic. It felt like a monumental moment, and I’m trying to create those monumental moments again for 2018 and 2019. I’m trying to change up the rhythm of music a little bit, but I need to work with certain people that I feel like they are changing themselves. You know, like an Ed Sheeran and Sam Smith, people that are landmark with their own identities; and when you add what they do with my sound we can make a beautiful thing. MC: How do you decide whom to collaborate with? Timbaland: I think it’s just about people getting together and collaborating and having an open conversation. Talking about their beliefs and what their likes are and things about music. To make stuff great you have to communicate with a person on a great level, you know what I’m saying? Go out to eat and talk about things that you maybe haven’t said before. Family. We talk about it. Before I approach any project, I like to have a one-on-one meeting with the artist to see where their head is at. Where they at. MC: You are also working again with Justin Timberlake. Do you feel pressure to top the groundbreaking success of the last album you produced for him? Timbaland: I mean, there is a lot of pressure because, you know, JT is JT. There’s just a lot of pressure when you [make an album that] opens the door for everyone else to come in. So, people look at us like the gatekeeper, and we’re like “Okay, what’s the next gate we gotta go through?” And it’s a little hard, but we just go by what we feel. MC: Do you see how with your production work you often wind up being a co-artist, by adding vocals/music performances and appearing in the videos? Timbaland: I’m not really an “artist” like they are. I’m the sound behind the artist. I realize what my art is, and my canvas is my beats. And then I have to find the right artist to portray what I’m trying to paint. What makes me step out into the forefront is because I see a vision, like a painting. So, I step out here and there, but I’m not a Justin and I’m not a Jay-Z. That’s what those guys were born to do. My voice is like another instrument that is added on. And that’s why people love me so much, because I’m just another part of the layer that makes it all complete. Like when you see Steph Curry hit that three-pointer. It’s like “Ah, man!” That’s how it is with my beats. The beats are dope, but it’s like when you hear that part in “Get Your Freak On,” when you hear the guy comes in with “doe, dabba doe, dabba doe,” and then Missy comes on, and you’re like “Oh!” It’s like I do the [vocal] sound effects along with the computer sound effects. MC: Is there ever a concern that your iconic sound could drown them out as an artist, or that even though they want your hit-making skills, they might not be the right fit for your sound? Timbaland: My music talks to the artist. And I can’t compromise with the artist if my beats don’t speak to that artist. Now, I could do beats for everybody but my soul won’t let me do it if it’s not compelling for that artist. My beats speak to me, like “no, no, no, no, no. That’s not for that person.” “This person is not going to know how to attack it.” Music is like a relationship between a girl and a guy, it’s like pheromones. When I saw Amy Winehouse I was like, “That girl’s special.” Because I know music, I know what special is. Certain things you can be like, “That’s dope,” but then you know what’s special, and what complements you. MC: Speaking of your beats matching the artist. I imagine a lot of people are going to go back and reexamine the Scream album you produced for Chris Cornell. Any thoughts on Chris and your work together? Timbaland: Chris had the most amazing rock voice. Rest in peace. That album was so beyond its time. He let me be creative. And that’s what I’m saying; he matched [my sound] and whether the world was ready for it at that moment or not, we both lived out our dreams with that album. We just didn’t stop. He tried things, I tried things, and it was monumental. Sometimes those monumental works are more like those Basquiat paintings, which weren’t popular until after he was dead. Think about the people who say those paintings are amazing now, but do you really get all the props you deserve when you put it out? Sometimes it could be about having a good time, but with me and Chris Cornell, and Bjork [2007’s Volta], and when I did the Deliverance album with Bubba Sparxxx, I feel everybody will go back and discover those albums, and I’ll be like 55 or something when everybody will be going back to those albums on the Internet, when it will become like something new. And the reason why it’s new is that it was never really born yet. It was premature. My collaboration with Chris was great, and now people appreciate it, but back then it was like 50/50 or 60/40, up in the air. But look at it now. MC: What are some of the obstacles you’ve overcome or pitfalls to avoid? Timbaland: Being lied to. You know, it’s all the same stuff that happens in relationships. You get caught up with loyalties and stuff like that. But other than some ups and downs, I really fought me. I just think that my obstacles weren’t so much obstacles it was just me being ego driven and not wanting to learn, and taking things for granted. Obstacles will happen, but at the same time there shouldn’t be obstacles because people need to be true and honest to what they are and who they are, so you gotta blame yourself instead of blaming others. MC: Is there any producer who was a hero to you or that you modeled your career after? Timbaland: Dr. Dre. I just feel like I’m his little brother. Even though we don’t speak every day, he speaks to me through music. “Nah, don’t do that Tim.” He’s like a brother in music, like a brother I never had. I watched how he hears music and knew how what he did would shape music for the next 20 years, and be still shaking the world. And he’s a good person to model your career after, [not only in a branding and business sense], but he’s not out there in the media. He’s just Dr. Dre. That’s all you know. How many interviews are there with that guy? It’s like mad scientists sometimes just stay in the lab, we don’t come out. So, like that’s what I try to do, I try to keep it to the craft, because once you go outside the craft you start messing with imperfections and your formula. I look at Dr. Dre as kind of a model of perfection. MC: As a label head and A&R person, what are you looking for when you are signing an artist? Is their social media presence as important as their demo nowadays? Timbaland: You gotta think for nowadays, we can’t go back to [the old ways of doing things]. All I can say is what was real for our era verses this era, but everybody’s still looking for that feeling. Now that feeling is going to drive up social media and all that, and I’m not mad at what social media is doing, because it does matter, but you got a lot of people that have a record deal that can’t sing. But the process is fun for me because I love music. For me, it’s like when you were out and about as a kid and looking for that four-leaf clover. It’s gonna take a minute to find that four-leaf clover. It’s perfection. But once you find it! I try to look for all the perfections in the world, and I don’t mind if it takes me seven or 10 years, I just love music that way to try to find the next big thing. MC: Is there still a need for labels or can artists just do it themselves if they can get distribution? Timbaland: I think that now it comes down to levels of business. You don’t have to have a label to make music and that’s the beauty of it, but the label is beneficial to some artists. There’s things outside of record labels that could be a way of getting in and showcasing your art and your form of music. I think everything is important, but it depends on what level you’re at. I think there’s more opportunities now, which makes it look like labels are obsolete; with social media, and with other outlets that are provided for us now, things look like you don’t need ‘em, but you still need ‘em. But [on the other hand] it’s not like if I don’t get a deal then I can’t get my music out. No, you can still do your thing. MC: With so many hip-hop artists dominating the pop charts today, do the terms like “hip-hop” or “pop” even matter anymore? Timbaland: It’s all one now, but that also depends on the level of hip-hop. Someone like Kendrick Lamar is beyond hip-hop, Kendrick speaks to the world. Pop music speaks to the world, so it’s the same thing. He’s just a little bit more edgy than the other pop. I feel like when you make music that feels good it’s gonna feel good. I don’t think it’s a name or the category you put it in. I think it’s great music. I don’t know if it’s hip-hop or pop, I think it’s music. MC: Do you feel in pop music it comes down to the competitive, zero sum game of the charts, or is there room for everybody? Timbaland: Everybody is trying to compete. I think now it’s more about making that feeling that rocked the world. Like now people have number one songs but Justin Bieber is rocking the world. People look because he’s bringing that feeling. Everybody wants to make Thriller. Look at the Weeknd: everybody is looking for that feeling that shook the world. MC: You helped shape the landscape of pop music, but do you ever feel like Elvis when the Beatles came out, like “I’m not going to get pushed out. I’m gonna be part of this game forever”? Timbaland: You’re right, I do. But I just study people. I just sit back and watch it all. I don’t have a formula, but I might look out the window for hours and just watch the mood of the world.